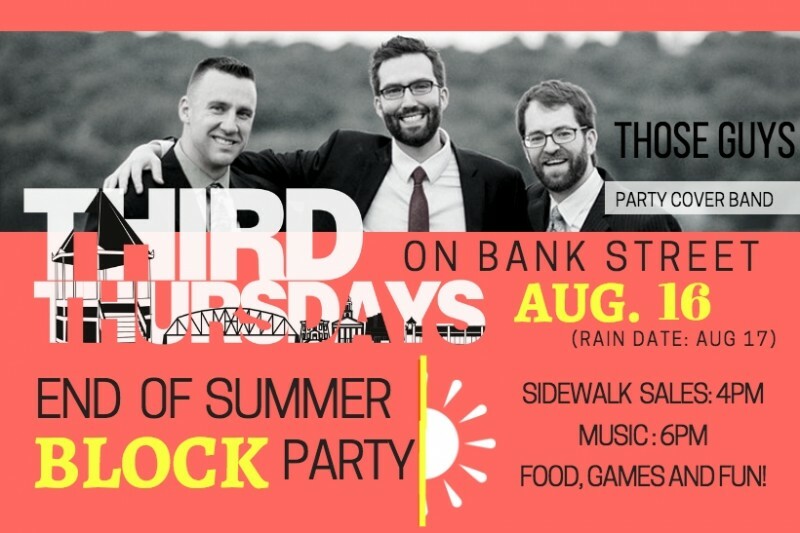 Join us for the last Third Thursday Summer Concert Series of the summer! This concert will take place on Bank Street; where the street will be closed and filled with our downtown Block Party! Music, games, food, sidewalk sales, and fun! Those Guys Entertainment will be rockin' the street with a wide variety of cover songs. Also joining us will be The Cue in Danbury with their smoker for some delicious eats! Sidewalk Sales start at 4:00PM, and Music begins at 6:00PM.